Ireland is a lovely country. We visited back in 2005 and had a delightful time. The people are friendly, the countryside is green (a stark contrast to life here in the desert), the food was savory, there are plenty of castles and historical attractions, and the woodlands are magical. 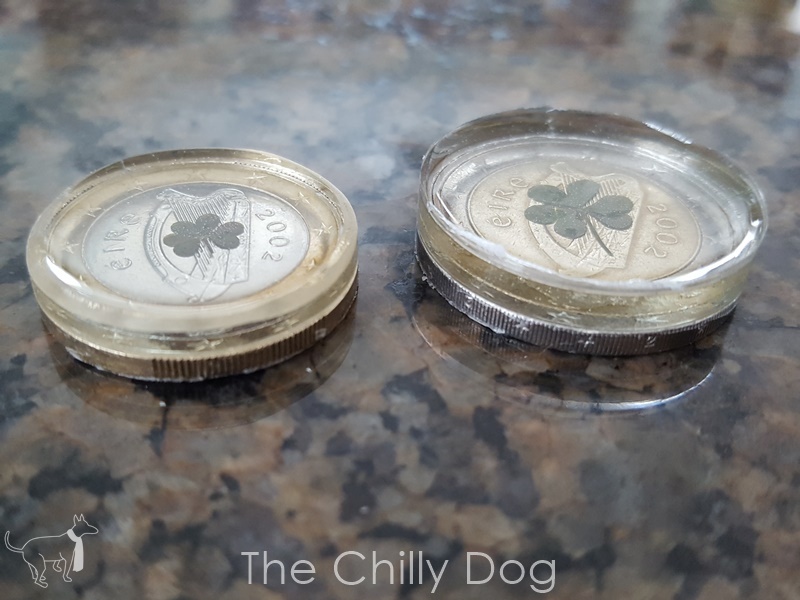 After our trip, I had a couple Euros left in my pocket. I didn't really think about them much until this year. Somehow, even though we live in the middle of the Sonoran Desert, I have a large patch of shamrocks that have taken over one of my flower beds. 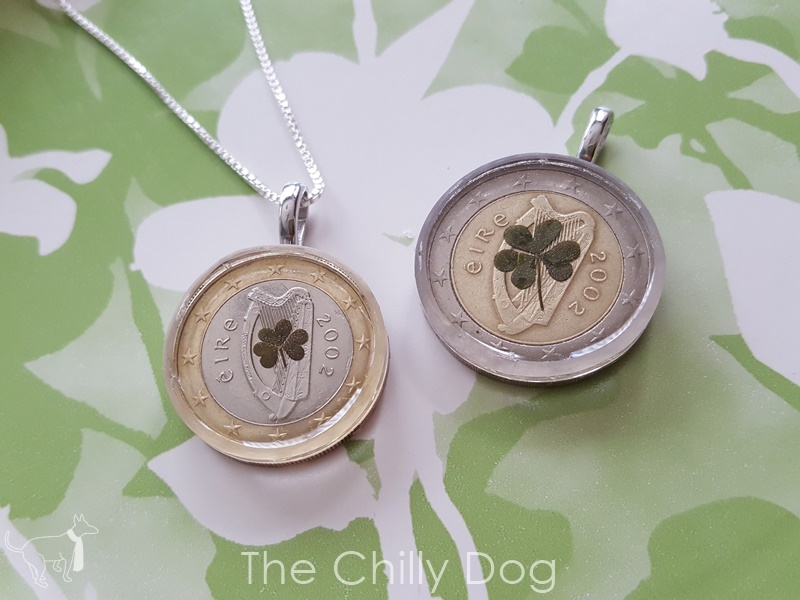 It seemed to me that my Irish Euros would be the perfect background for a shamrock pendant. The first step is to collect and press some small shamrocks. 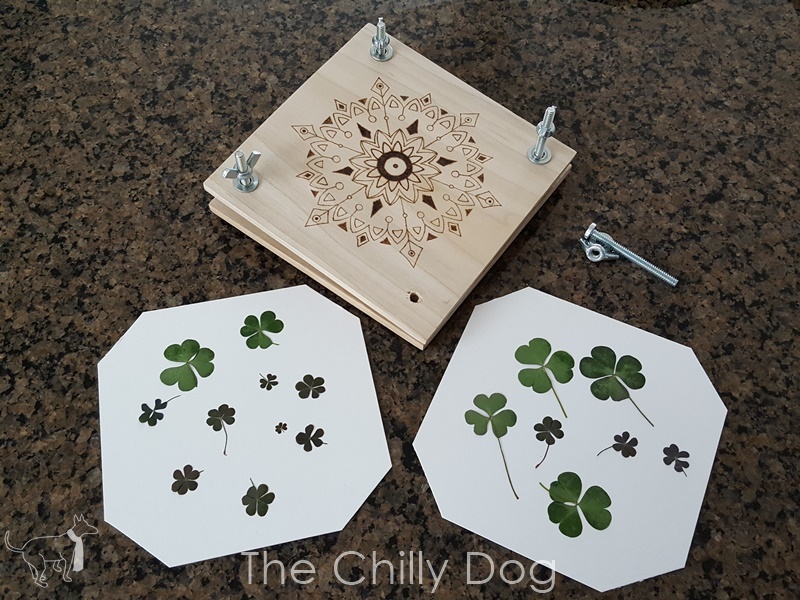 If you are not lucky enough to have a shamrock patch, many nurseries carry indoor shamrock plants in the spring. The pressing and drying process can take anywhere from a few days to a couple weeks. 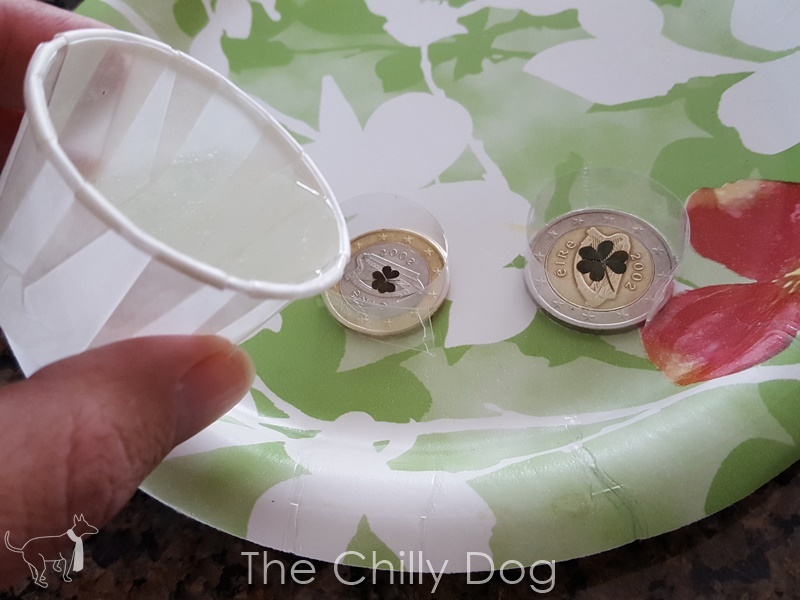 Once your shamrocks are ready, tear off a piece of packing tape that is long enoug to wrap around the edge of your coin about 1 1/2 times. 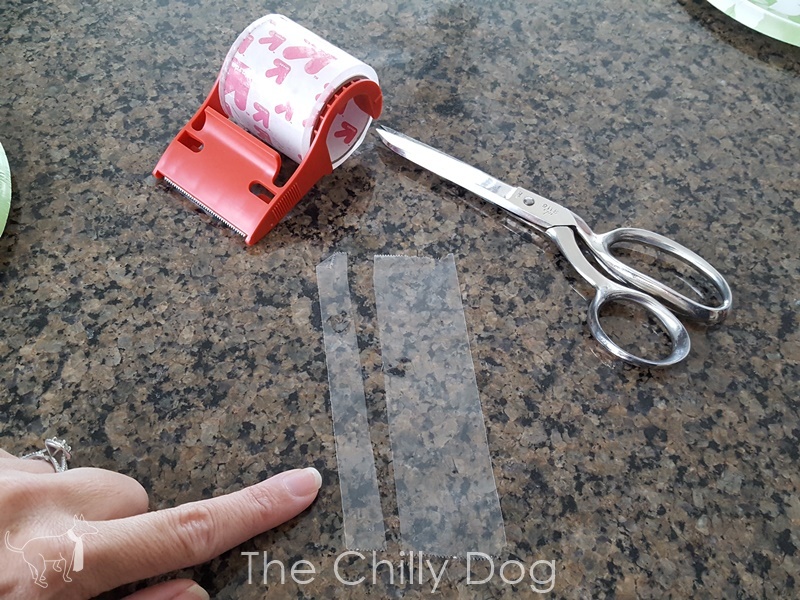 Cut a strip of tape about 1/2 inch wide. 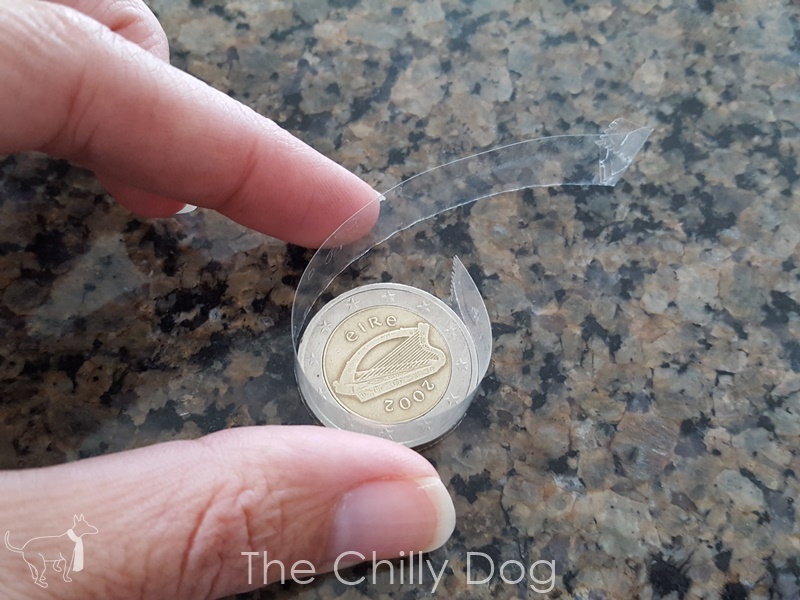 Wrap the tape tightly around the coin. 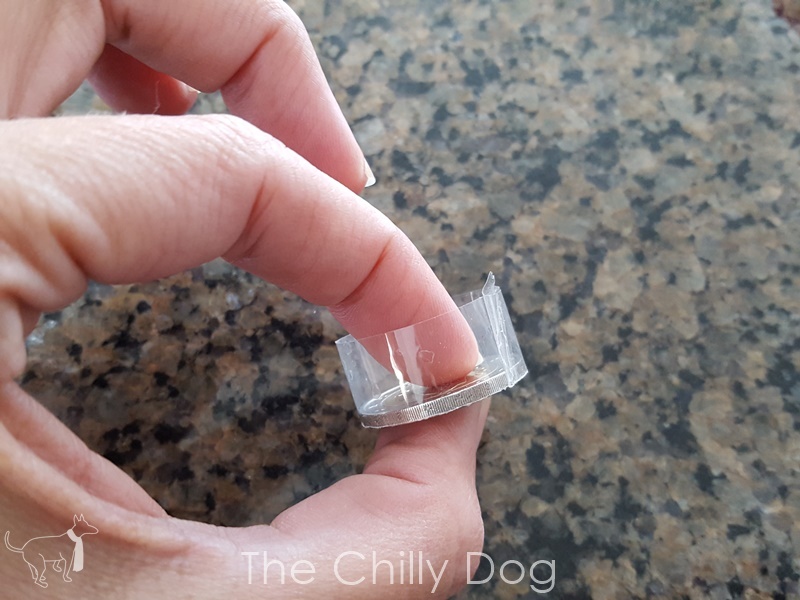 You can fold down a small edge of the tape so it is easier to remove later. Make sure to press the tape firmly down around the edge of the coin. The tape makes a sort of bezel that can be filled with resin. 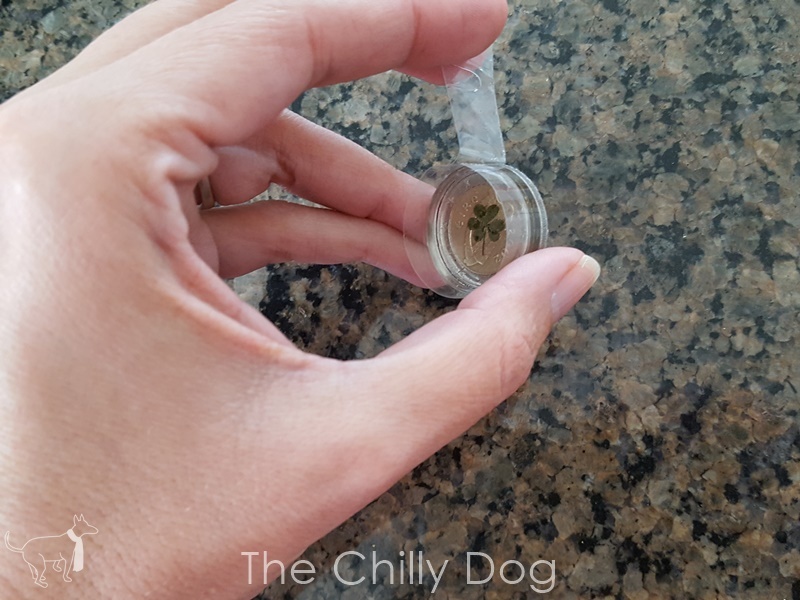 Tiny dried shamrocks are very delicate. Tap a cotton swab on your tongue then use the swab to lift your shamrock. 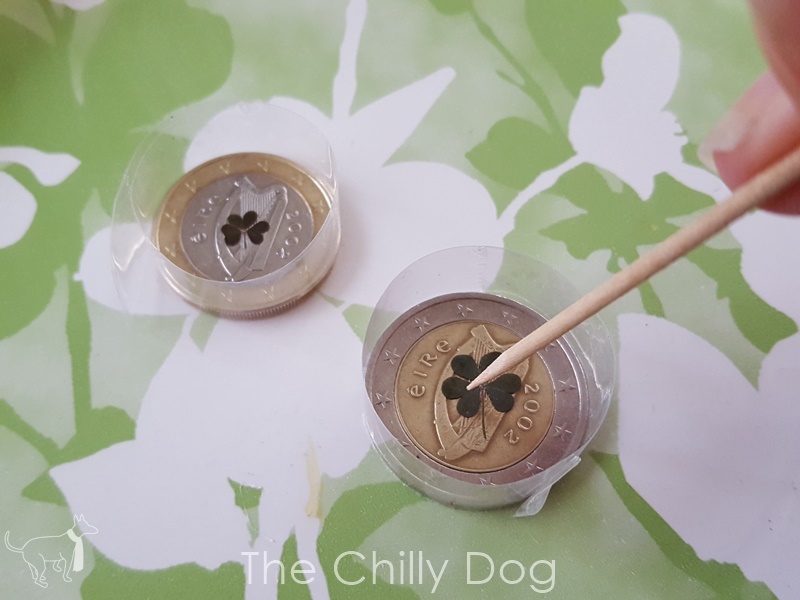 Place the shamrock onto the center of the coin. 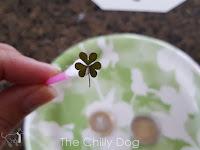 Use a toothpick to slide the shamrock into position if necessary. 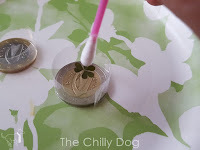 Make sure your coins are on a protected work surface before you begin using the resin. 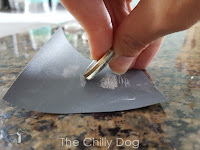 I like using parchment paper to cover my surface, although a plastic plate will also work. 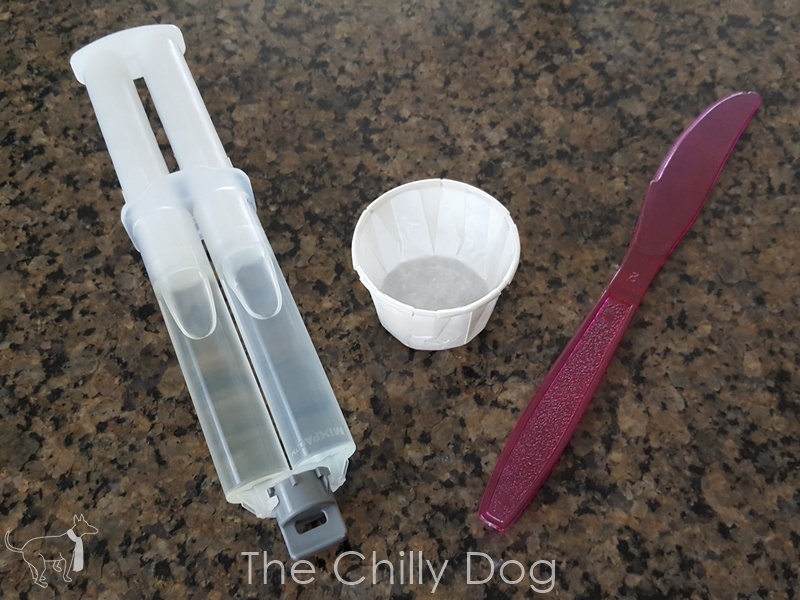 Mix the resin in a disposable cup according to the package directions. 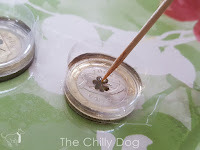 Stir the resin gently to minimize the formation of bubbles. Resin is very sticky, messy and hard to clean up so again, make sure your work surface is protected. Carefully pour the resin onto your tape-wrapped coins. The resin should be approximately the same thickness as the coin. After about 20-40 minutes you may see that your shamrock has floated to the surface of the resin. If this happens, carefully use a toothpick to gently submerge the shamrock halfway between the coin and the resin surface. Now the hard part. Do not move or touch your resin covered coins for 24 hours. The shiny resin surface is irresistible but keep your hands off. 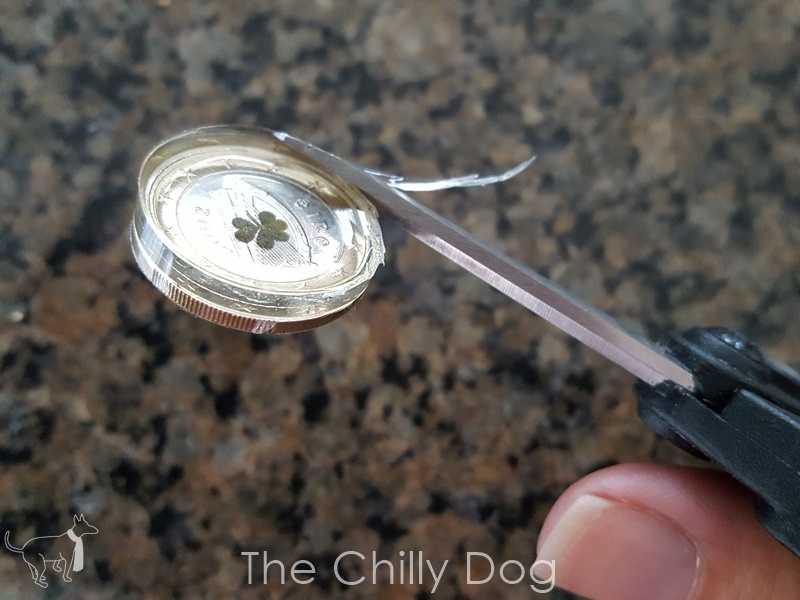 After 24 hours, remove the tape from the coin. 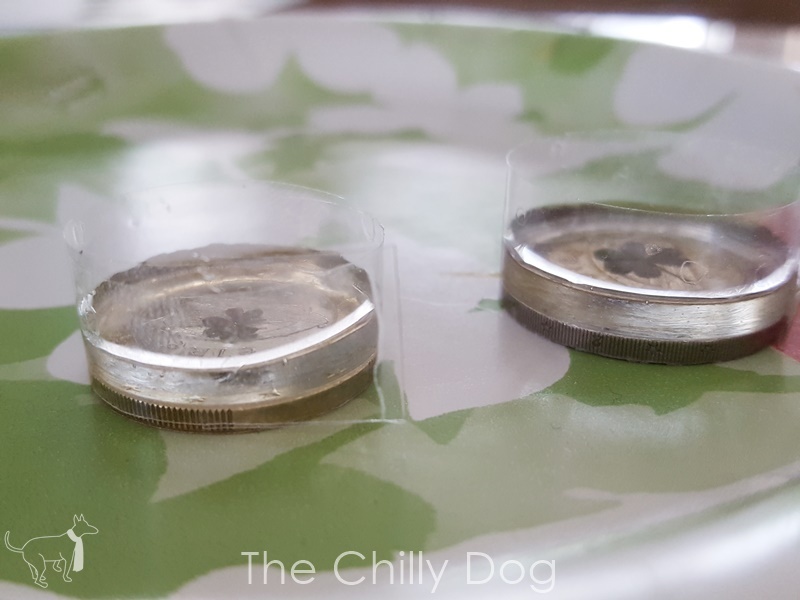 You will notice that the resin is very smooth across the center of the coin, but there is a ridge along the edge. Use a scissors (at about a 45° angle to the resin) to trim away the excess resin. Don't worry if it looks a little uneven at this point. 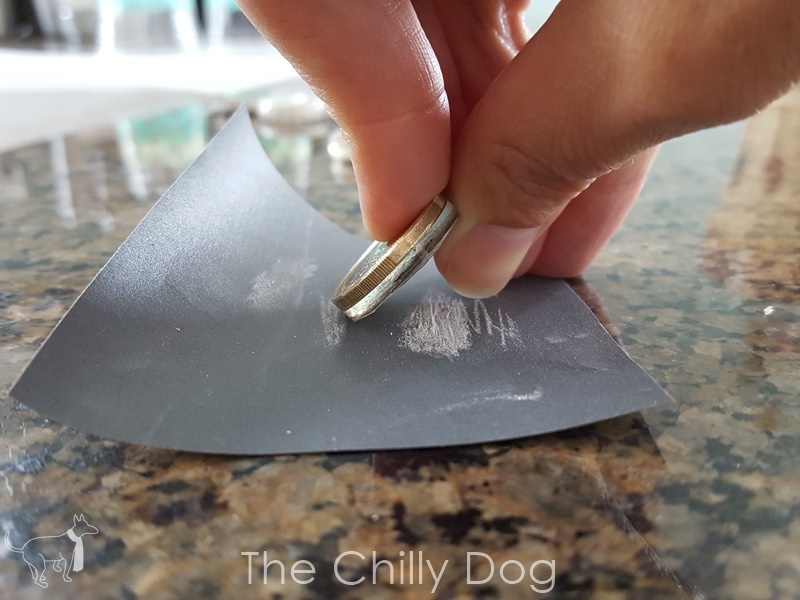 Use a piece of very fine grit wet/dry sandpaper to smooth out the edge of the resin by holding the coin at a 45° angle to the paper and rubbing the resin on the paper. This process takes a little time and patience, but is well worth the effort. 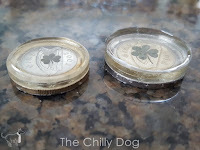 The coin on the left has been sanded, the coin on the right has not. There is still a slight lip around the edge of the resin, but we’re going to call that a design element. 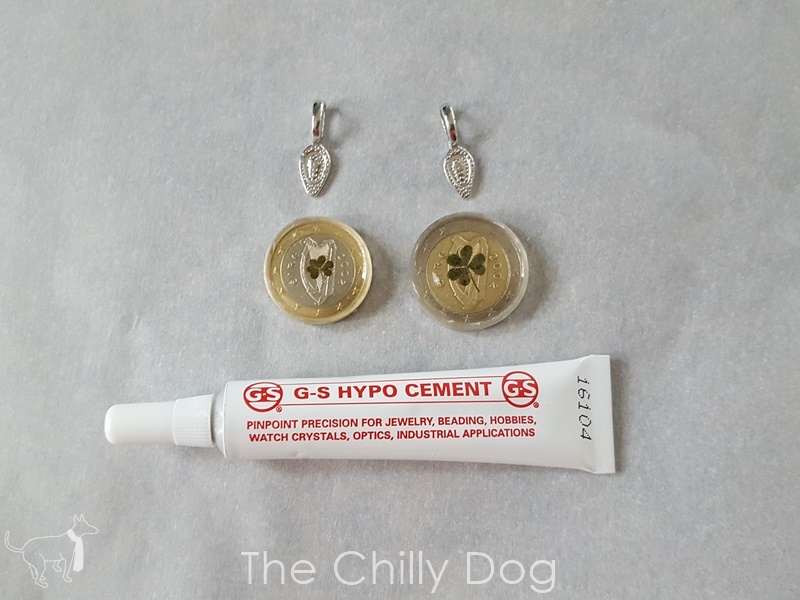 Once you have smoothed down the resin edges, it's time to attach the bail to the back of the coin with G-S Hypo Cement. Again, work on a parchment covered surface. Fill the depression of the bail with G-S Hypo Cement and wait for about 15-30 seconds. Position the coin onto the bail. And then, the hard part, again. 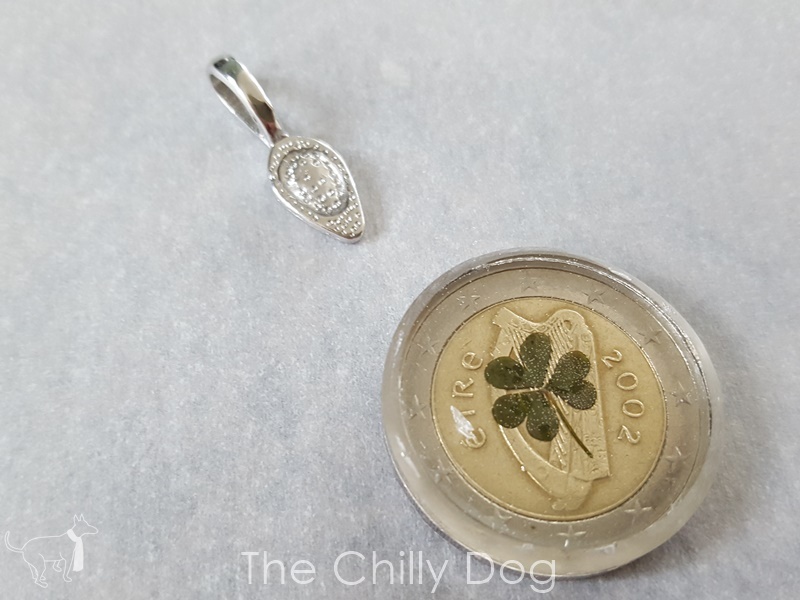 Do not move or touch the pendant for 24 hours while the glue cures completely. 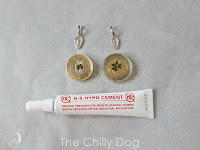 Once the glue has dried, simply slide a chain or cord through the bail and your necklace is ready to wear. 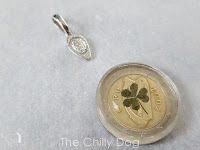 Learn how to make a St. Patricks Day pendant with a shamrock and an Irish coin.